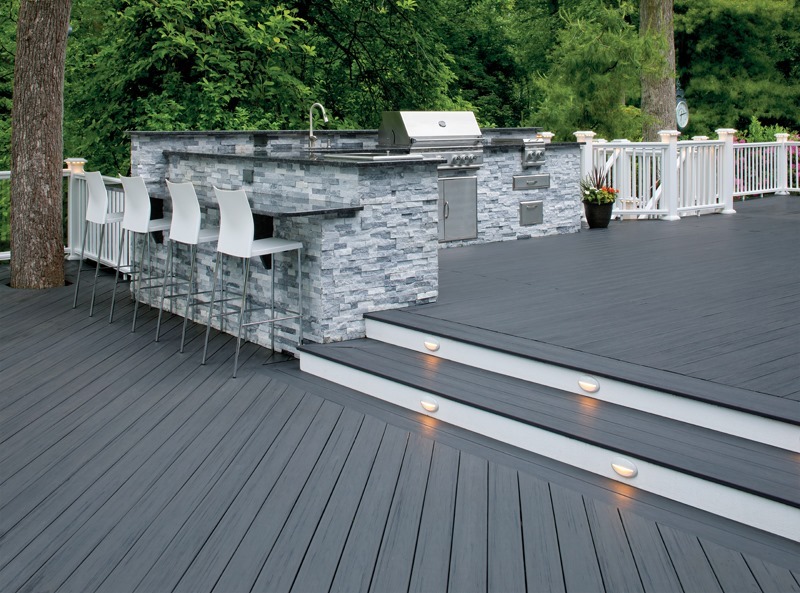 If you’re looking for a durable, low-maintenance decking solution that will really make an impact on your outdoor space, our EasyClean Tropical Storm Grey capped decking is the perfect fit for your project. 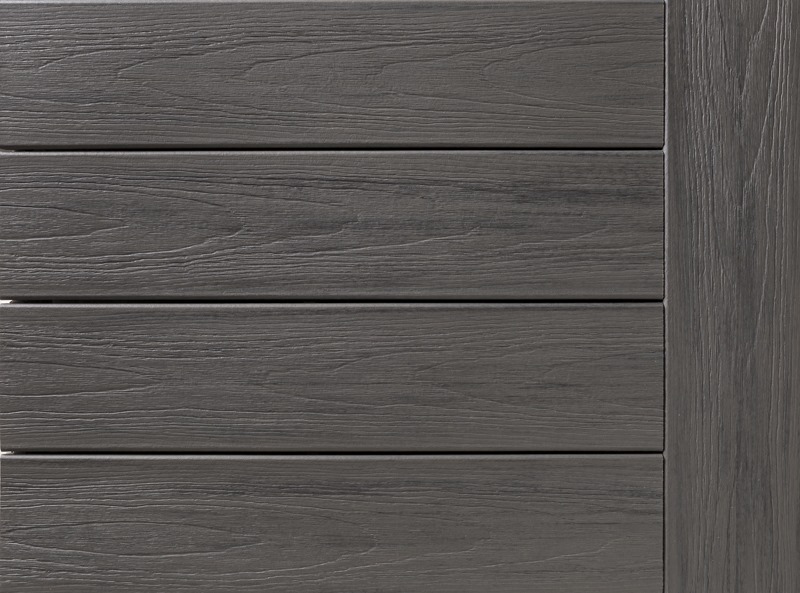 These gorgeous grey decking boards have a grained surface that looks just like tropical wood, and the stunning colour is ideal for all sorts of contemporary garden designs. 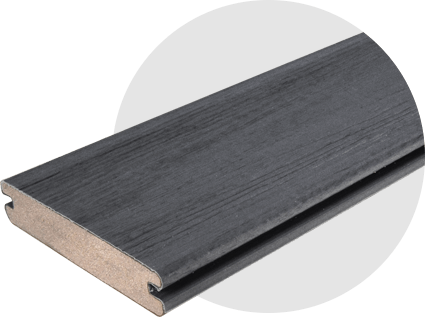 The Storm Grey boards are equipped with a fully protective wrap-around polymer sleeve; not only does this protect the boards from moisture, it also means that any spills can be wiped away with ease. 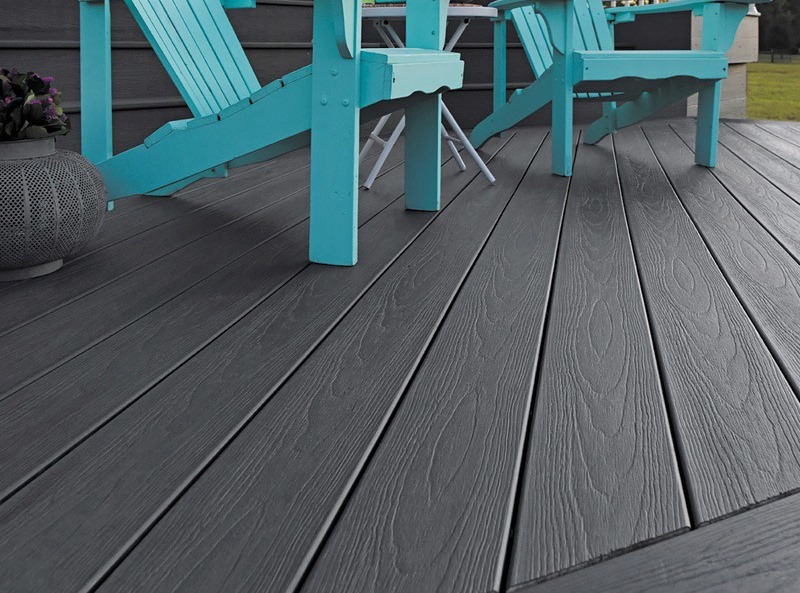 Like all TimberTech products, Storm Grey composite decking is ideal for outdoor use – the planks won’t rot, splinter, warp or fade, and unlike traditional hardwoods, they require practically zero maintenance. And if you don’t like the Storm Grey design, don’t worry. There are two other options in our EasyClean Tropical range – Teak and Walnut – and we are confident that these will be to your liking. Click here to order a free sample of any two TimberTech deck boards. Please note that our EasyClean Tropical decking is made to look like hardwood decking, so your sample board may not give you a full impression of the variegated colours and shades that will be visible in your finished deck. 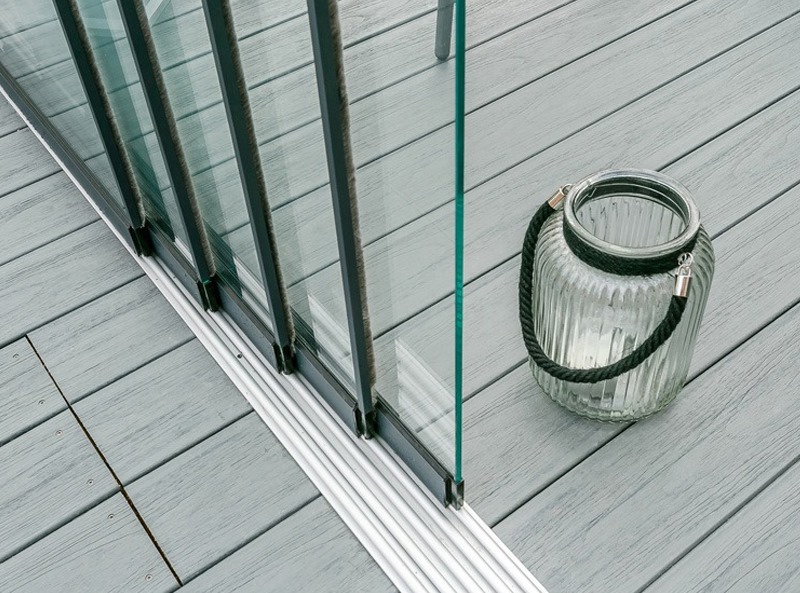 The modern look of our Storm Grey decking boards would be perfectly complemented by one of our glass balustrade systems. Click here to learn more about our balustrade range.